I am an award-winning artist with more than 32 years of professional experience and I specialize in the study of the human figure and portraiture, although I sometimes work within the field of still-life and abstract composition. I live and work in Dundee where I am a part-time lecturer at Dundee College. I graduated from Duncan of Jordanstone College of Art, University of Dundee in 1979 and since that time I have executed more than 180 commissioned portraits and have exhibited widely in galleries throughout the UK, including the National Portrait Gallery, the Mall galleries, and the County Hall Gallery in London, the Royal Glasgow institute and the Royal Scottish Academy. 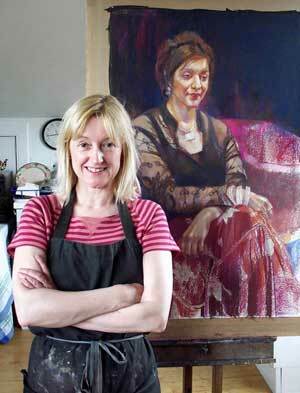 My work is held in public and private collections and I have appeared on BBC television in the series ‘Star Portraits’ first shown on BBC1 in 2004. In addition to the pictures shown here you can check my Facebook page for the most up to date work.